Salamangreat as an archetpe were once looked down upon. They were a complete joke in the Link Format until their Structure Deck were revealed. Alongside those, some cards that will come out in main sets will also help them become a top tier deck.. 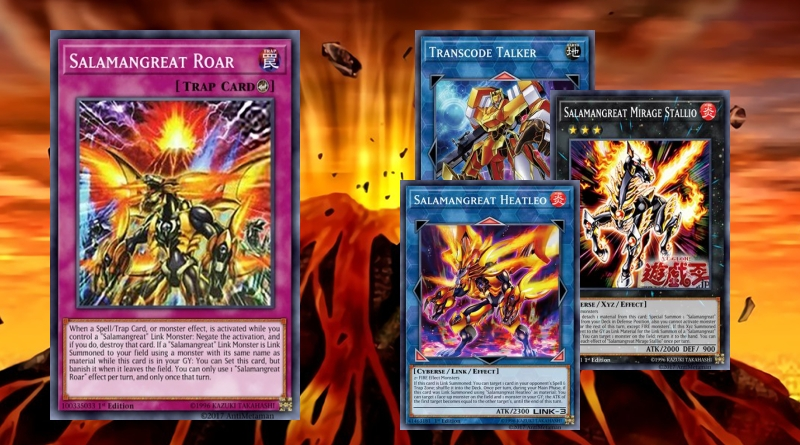 The cards I'll be focusing on are as what follows: Salamangreat Fowl, Salamangreat Gazelle, Salamangreat Spinny, Salamangreat Circle, and Salamangreat Roar for the Main Deck. The Extra Deck discussion cards will be as what follows: Salamangreat Mirage Stallio, Salamangreat Sunlight Wolf, and Salamangreat Veilynx. If a "Salamangreat" monster(s) is Normal or Special Summoned to your field, except "Salamangreat Fowl" (except during the Damage Step): You can Special Summon this card from your hand. You can only use this effect of "Salamangreat Fowl" once per turn. You can send 1 "Salamangreat" card from your hand or face-up field to the GY, then target 1 Set Spell/Trap your opponent controls; that target cannot be activated this turn. I'll begin with Salamangreat Fowl. The effect above gives the deck great swarming capabilities and when in a pinch, back row negation. The second effect isn't the most ideal to activate but with the right hand, it can actually lead to setup for plays. A combo that can be done with the second effect: Starting Hand: Any one Salamangreat monster, Salamangreat Fowl, Salamangreat Meer, Salamangreat Jack Jaguar, and two filler cards. Assume the opponent has a facedown Spell/Trap. Special Summon Meer using it's effect discarding the random Salamangreat monster. Special Summon Fowl using it's own effect, activate Fowl's second effect sending Jack Jaguar to the GY and target the face down Spell/Trap. Link into a Salamangreat monster. 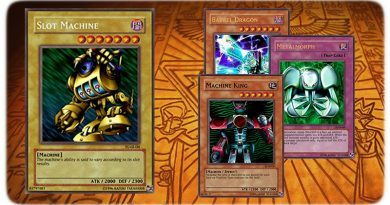 Activate Jack Jaguar in GY, return the random Salamangreat to the deck, Special Summon Jack Jaguar. Proceed with your plays. If a "Salamangreat" monster(s) is sent to your GY, except "Salamangreat Gazelle" (except during the Damage Step): You can Special Summon this card from your hand. If this card is Normal or Special Summoned: You can send 1 "Salamangreat" card from your Deck to the GY, except "Salamangreat Gazelle". You can only use each effect of "Salamangreat Gazelle" once per turn. Second up is Salamangreat Gazelle. Like Fowl, it gives swarming capabilities to deck and it can send any one Salamangreat card from Deck to GY. This can range from their Counter Trap to Salamangreat Mole. If you control a "Salamangreat" card: You can discard this card, then target 1 face-up monster on the field; it gains 500 ATK until the end of this turn. If you control a "Salamangreat" monster other than "Salamangreat Spinny": You can Special Summon this card from your GY, but banish it when it leaves the field. You can only use each effect of "Salamangreat Spinny" once per turn. Salamangreat Spinny is one of the best targets you can send to to the GY via Gazelle. It also has it's own in-hand effect, giving an attack boost to any monster on the field. It's GY Special Summoning effect is the main appeal of card, being able to be used for Xyz and Link plays. ● Add 1 "Salamangreat" monster from your Deck to your hand. ● Target 1 "Salamangreat" Link Monster you control that was Link Summoned using a monster with its same name as material; that Link Monster is unaffected by other monsters' effects this turn. Salamangreat Circle is the archetypal searcher and if truly needed, protection. Not much to say about it other then run three at all times. 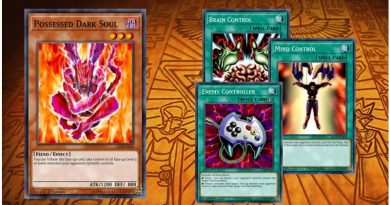 When a Spell/Trap Card, or monster effect, is activated while you control a "Salamangreat" Link Monster: Negate the activation, and if you do, destroy that card. If a "Salamangreat" Link Monster is Link Summoned to your field using a monster with its same name as material while this card is in your GY: You can Set this card, but banish it when it leaves the field. You can only use 1 "Salamangreat Roar" effect per turn, and only once that turn. Salamangreat's Counter Trap is a consistent piece of disruption. Infernity Barrier for an archetype is always good. You can send it to the GY via Gazelle or just hard draw it. It's GY self-setting effect is a big plus if you Reincarnation Link (Link Summon using the same monster as material as the monster being Link Summoned) with it. Now, it's time for the Extra Deck. The monsters I'll be discussing all something in common, consistency boost. 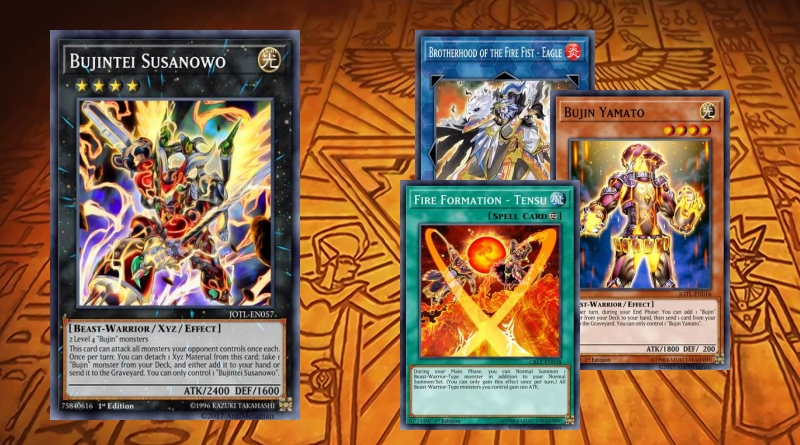 You can detach 1 material from this card; Special Summon 1 "Salamangreat" monster from your Deck in Defense Position, also you cannot activate monster effects for the rest of this turn, except FIRE monsters'. 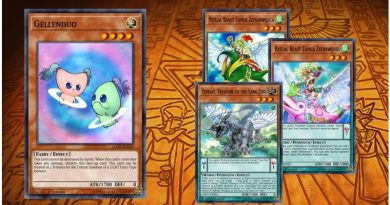 If this Xyz Summoned card is sent to the GY as Link Material for the Link Summon of a "Salamangreat" monster: You can target 1 monster on the field; return it to the hand. You can only use each effect of "Salamangreat Mirage Stallio" once per turn. Salamangreat Mirage Stallio is a M-X-Saber Invoker for the Salamangreat archetype as well as non-destruction removal if sent to the GY as Link Material. Basic way to Xyz Summon: Use Gazelle to send Spinny to the GY. Special Summon Spinny to the field and Xyz into this. If a monster(s) is Normal or Special Summoned to a zone(s) this card points to: You can add 1 FIRE monster from your GY to your hand, but for the rest of this turn, you cannot Normal or Special Summon monsters with the same name as the added monster. During your Main Phase, if this card was Link Summoned using "Salamangreat Sunlight Wolf" as material: You can add 1 "Salamangreat" Spell/Trap from your GY to your hand. You can only use each effect of "Salamangreat Sunlight Wolf" once per turn. Salamangreat Sunlight Wolf is consistency.crd, being able to add cards from GY to hand. Not much else to say other than run three. If this card is Link Summoned: You can add 1 "Salamangreat Sanctuary" from your Deck to your hand. If a "Salamangreat" card(s) you control would be destroyed by battle or card effect, you can banish this card from your GY instead. You can only use each effect of "Salamangreat Veilynx" once per turn. Salamangreat Veilynx is your starter Link Monster, searching out your Field Spell, allowing Link Climbing, and giving protection to your monsters.